"Horsetail Falls" Twin Bridges, California. Located just outside South Lake Tahoe above Strawberry and just across from Lovers Leap rock climbing crag on Highway 50. You can hike right next to the waterfall all the way to the top but be careful the hike can be dangerous. 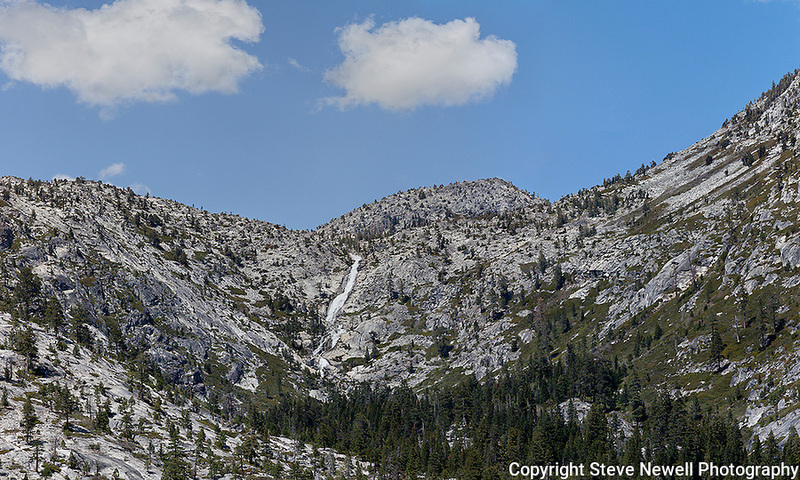 Horsetail is one way to enter the spectacular Desolation Wilderness.